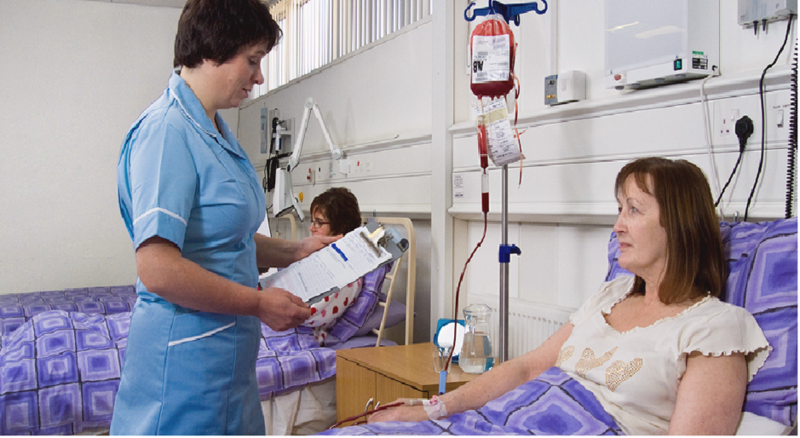 Learnbloodtransfusion is a suite of e-learning courses that have been developed by the UK Blood Services and are reviewed regularly by a UK-wide editorial board. 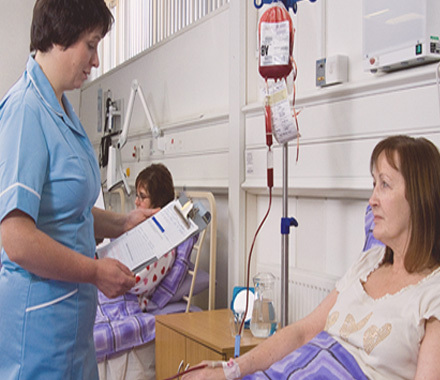 It has been developed to ensure that all healthcare workers can participate safely in the transfusion process, in line with the Health Service Circular, Better Blood Transfusion – Safe and Appropriate Use of Blood (2007). Each e-learning session includes a self-assessment exercise and the option to download and print off a certificate of successful completion if a score of 80% or more is achieved. The UK Blood Services are committed to helping healthcare workers understand how to support the safe and appropriate use of blood and want to bring this e-learning resource to a wider audience. The way you access the materials will depend on your role and how the e-learning is provided to your organisation. You can find out more about Learnbloodtransfusion, including how to access the materials, with our Essential Guide. 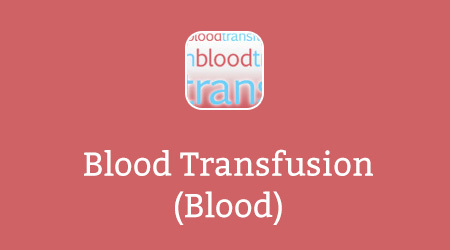 Learnbloodtransfusion offers eleven courses and two pathways. You can find out more by selecting a course/pathway below. Safe Transfusion Practice helps healthcare workers to perform their important role in the transfusion process, supporting them to provide high standards of care to patients, improve transfusion practice and minimise the risk to patients. All NHS staff who are involved in the transfusion process should undertake this course where relevant to their role. This includes doctors, nurses and midwives, operating department practitioners, clinical support workers, phlebotomists, porters, biomedical scientists and medical laboratory assistants. Blood Components and Indications for Use helps you to practise evidence-based transfusion. It includes the constituents of blood components, summarises the indications for use, the therapeutic benefits and risks, and the management of adverse events. This course is suitable for doctors, nurses and midwives, operating department practitioners and blood transfusion trainers. You need to ensure you successfully complete Safe Transfusion Practice before you start Blood Components and Indications for use. The UK Blood Safety and Quality Regulations (as amended) (BSQR 2005) impose legal requirements on hospital transfusion laboratories to establish and maintain a quality system based on Good Manufacturing Practice (GMP). This course provides a basic understanding of the principles of GMP for people who work in the hospital transfusion laboratory. Safe Transfusion Practice (Paediatrics) incorporates sessions 1 to 7 from the ‘Safe Transfusion Practice’ course. It is provided as an alternative course for healthcare workers in the paediatric setting. The Anti-D Clinical course covers pathophysiology, management of routine and non-routine care during pregnancy, informed decision making and administration of anti-D immunoglobulin. This course is aimed primarily at clinicians (obstetricians), midwives, nurses and general practitioners. The Anti-D Laboratory course covers routine laboratory testing in pregnancy and the role of the laboratory in anti-D prophylaxis and anti-D sensitised pregnancies. This course is aimed primarily at biomedical scientists working in haematology and transfusion laboratories, clinicians (obstericians), midwives, nurses and general practioners. Learn Cell Salvage is designed to offer any learner the opportunity to gain a broad understanding of the principles of cell salvage and increase your awareness of a range of blook conservation of intraoperative cell salvage (ICS) and postoperative cell salvage (PCS). This course is aimed primarily at doctors, nurses, operating department practitioners, cell salvage operators, clinical perfusionists, and clinical support workers. This module promotes safe practice in the transfusion laboratory and covers the key safety issues associated with sample acceptability, serological testing, component issue and traceability. It focuses on the role of the laboratory in haemovigilance and the importance of effective communication between various staff groups. It is aimed at Healthcare Scientists (Biomedical & Clinical) and Biomedical Support Workers working in the transfusion laboratory, however all staff groups involved in the transfusion process may find this module useful. Safe Blood Sampling for Transfusion is an adjunct to the Sampling Unit in the ‘Safe Transfusion Practice’ course and offers an alternative method of engaging users through video based learning. It highlights the high risk or error ‘hotspots’ when taking a blood sample for transfusion (identifying the patient, labelling the sample tube, matching the blood sample with the request form) and explains the procedure which must be followed correctly or the consequences for the patient could be fatal. This course is aimed at doctors, nurses, midwives, phlebotomists and other clinical staff who take blood samples for pre-transfusion testing. Consent covers the background and rationale for having consent for transfusion. It has been designed for clinicians and nurses involved in the consent process. This course should be used in conjunction with the Safe Transfusion Practice and Blood Components and Indications for Use courses. Although formal documentation of consent should be done by doctors and nurse authorisers, all healthcare professionals caring for transfused patients should complete this course to gain the necessary knowledge needed to answer any questions patients may have. This course covers the recognition, immediate and further management of an Acute Transfusion Reaction, which investigations to consider and the reporting requirements; reactions in special groups, e.g. neonates and patients with sickle cell disease, are also addressed. It is aimed at medical, nursing & midwifery staff and operating department practitioners and other allied health professionals involved in transfusion. This pathway includes haemovigilance, collection procedure, and ABO blood group serology, and is aimed at porters and any other staff undertaking solely the collection of blood in the transfusion process. Below is a session on Blood Group Serology from Safe Transfusion Practice. It gives you a taste of the way multimedia is used in the learning materials and shows you how to use the knowledge assessment feature. Please note that if you access the content below, your progress and completion will not be recorded and you will not be able to generate a record of completion. This Blood Group Serology session will provide you with an introduction to the essential facts of ABO and Rh blood group serology. If you already have an account with e-LfH, then you can enrol on to the Blood Transfusion programme by logging in to the e-LfH Hub, selecting My Account > Enrolment and selecting the programme. You can then access the programme immediately in the My e-Learning section. Do you work in an NHS trust? If you work for the NHS and need help with access, please contact your trust for information regarding access to your local learning management system. You can also contact the NHSBT Customer Service Team at NHSBT.CustomerService@nhsbt.nhs.uk or telephone 01865 381010. Do you work in an independent healthcare organisation? For more information please contact the NHSBT Customer Service Team at NHSBT.CustomerService@nhsbt.nhs.uk or telephone 01865 381010.